In the context of crypto currencies and blockchain, mining is what makes the world go around. We are creating a one of a kind crypto-mining token that will allow anyone in the world to benefit from the mining revolution. OUR NEW UNICRYPT MINING PLATFORM HAS LAUNCHED! You can benefit from our Award-Winning Pro-Active Mining Solution starting right now. Please read the contract and understand it fully. If you need any assistance or have questions, please don’t hesitate to contact us via the contract form below. The largest Crypto-Mining Investment Firm in Switzerland. Making decentralized crypto-mining open, accessible, and profitable to the world. Unity Investment AG was founded in late 2017 by a team of established businessmen, cyber security specialists, financial sector experts and crypto currency miners. Unity, based in canton Schwyz, Switzerland, is an IT services company with the expertise in delivering high-performance crypto-mining infrastructures and solutions to customers and clients. Unity completely takes care of the maintenance of the hardware and software infrastructure for the generation of cryptographic currencies based on blockchain technology. Unity will hold an Initial Coin Offering (ICO) later this year, with our Pro-Active Mining Service launching in throughout September – October 2018, to create a one of a kind opportunity for virtually anyone to participate in the mining movement. You can benefit from our Pro-Active Mining Service Pre-Sale today! The later issued UNY-Token will be based on the widely recognized and accepted ERC20 standard, and will provide direct weekly Rewards in other crypto currencies of choice (for instance, Bitcoin, Bitcoin Cash, Ethereum, Litecoin, etc.). Unity creates a truly democratized crypto-mining experience out of Switzerland, so anyone can benefit from our stable infrastructure (politically, technologically and economically), no matter their location, technical skillset or financial means. It is of most importance to unity to give our customers the most profitable mining experience possible, in combination with absolute transparency and competence. Users gain access to our custom dashboard showing exactly what the miners are working on in real-time. and several block-chains to find the most profitable crypto-currency to mine. Unity uses a proprietary algorithm that scans the crypto-market and several blockchains for the most profitable coin to mine based on their current market value, volume, performance and mining difficulty. The algorithm controls all of Unity’s mining machines and re-configures them every minute, if necessary, to ensure the most profitable mining experience is achieved. Located in Switzerland with Legal and Regulatory Safety and electrical Infrastructure stability. Low power costs and virtually zero Taxes. The Pro-Active Mining customers will receive Crypto-Rewards paid out to their wallet of choice. With Unity, Friday is Payday. The ROI of crypto mining, especially as a steady income-stream, makes our service very attractive as a passive-income product. Rewards are paid out on a weekly basis to the user’s wallet and currency of choice (BTC, BCH, LTC, ETH) or via bank transfer in CHF, EUR or USD. Strong and strict regulatory guidelines in Switzerland ensure the best protection for investors and Pro-Active Mining participants. We’re excited to announce that you can already benefit from our Pro-Active Mining Experience with a participation contract. In the near future, UNY-Tokens will be open for Pre-Sale – the final details will be available in our Whitepaper. Please feel free to contact us for details on the participation contract or to schedule a personal meeting at our headquarters in Switzerland. We’re happy to give you a full tour of our large-scale mining operations. UNITY Has a proven track record of competence and performance in running highly-profitable mining operations in Switzerland. The funds raised by the ICO will be invested intelligently in to hardware, infrastructure and personnel on all business streams, further strengthening our position in the crypto-space and market. This is our Roadmap for 2018. Once the UNY-Token is approved by FINMA, the Pre-ICO phase begins. We welcome everyone to register for our Newsletter to keep up to date with our latest progress. UNITY has assembled a world class entrepreneurs, engineering, strategic and design team with over 100 years of collective experience from Switzerland. Unity further employs more than a dozen external specialists, crypto-ambassadors and sales representatives. What is Unity's Mission and Vision? We want to make the crypto-currency mining truly open, accessible, and profitable for anyone in the world. It’s our mission to decentralize mining and allow anyone to profitably be a part of the crypto-mining revolution, no matter their heritage, technical skills, age or financial background. Which cryptocurrencies will be accepted in the token launch? Fiat Currencies (CHF, EUR and USD) are accepted during the Pre-Sale Phase as a Wire-Transfer. No, the total supply of UNY tokens is fixed and there is no continuous issuance model. The raised capital is invested in to mining hardware, and as a UNY-Token holder, you will receive that mined crypto as a reward, weekly. Which Crypto Currencies are rewarded to UNY-Token holders? UNY-Token holders will receive the crypto that has been mined by our mining operations. While Unity mines different coins based on their profitability, we allow users to choose from a list of coins that they wish to have transferred to their own crypto wallet each week or transferred to their bank account in FIAT. Users can choose or change a payout currency before each week’s payout. What is the current Minimum Investment? Currently, a minimum of CHF 2’500.00 is required to participate in the mining revolution. In the future, this amount will decrease as crypto-payments are enabled and therefore automatically handled – further reducing overhead. Unity Investment AG (CHE-107.839.524) was founded in Switzerland in late 2017 by a team of established businessmen, cyber security specialists, financial sector experts and crypto currency miners. Why did Unity choose Switzerland? 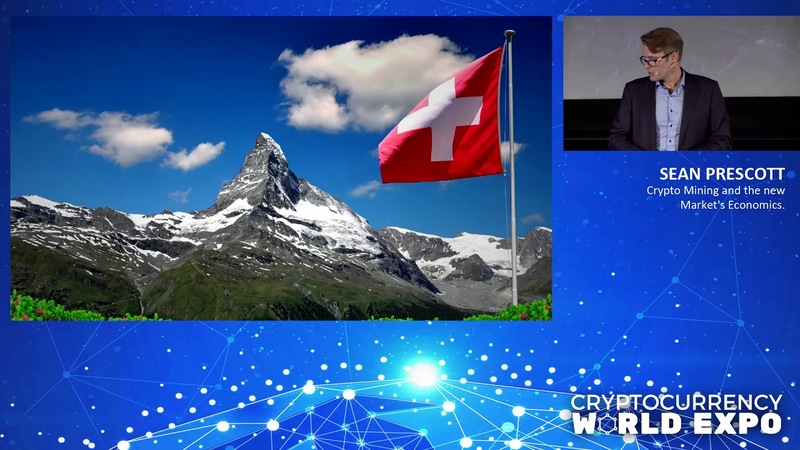 Switzerland is a very safe, secure and stable crypto-nation, both in regards to the strict regulations and technical infrastructure. Switzerland has very favourable competitive prices on readily available renewable energy sources. Please join our Telegram chat, follow us on LinkedIn or Facebook. UNITY represents being together as a community and executing great ideas together with all the people around the world. We believe that working together for a common goal brings everyone together in a inclusive and connected way. Stay tuned to the latest updates in development and sign up for our newsletter. Reach out to Unity Investment AG. Note: Positive performance in the past is no guarantee of positive performance in the future. The information in this publication is for informational purposes only and is not an offer, a public listing, or a recommendation to buy or sell crypto currencies and managed units of miners.